Paintball is a fun and adrenalin-filled activity that can be enjoyed by any person of any age, fitness level and ability. It is a great outdoor activity that combines leadership, strategy and teamwork in a fun and unique environment. In the Eastern States of Australia however, there is a restriction imposed on the participation in Paintball games that is unjustified, unnecessary and unfairly implemented. The State Police Forces have imposed a minimum age to participate in Paintball games at 16 years of age. In NSW at least, lawmakers did not feel compelled to address this activity in legislation but the police have taken it upon themselves to impose restrictions that have no evidential basis of support. 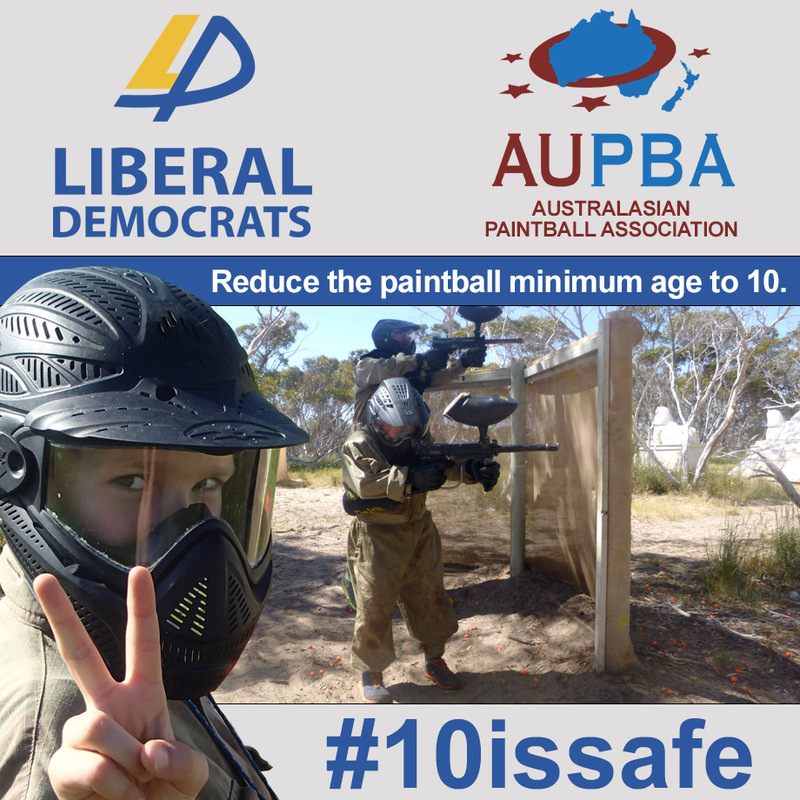 We are requesting that this unsubstantiated and unnecessary restriction be simply removed and children as young as 10 years of age be permitted to participate in Paintball games in Australia. There is no basis to the inclusion of this restriction. Paintball is enjoyed globally by children as young as 10 years of age. The United Kingdom, Canada, United States of America, and New Zealand are among the many countries that set self-imposed minimum ages of 10 years, in conjunction with insurance companies. Even Western Australia and South Australia allow people as young as 10 years of age to participate! Paintball as an activity is safe, enjoyable and exciting. There are many benefits to children as young as 10 being able to participate in paintball games. Most other countries around the world permit this and it has been very successful, without major incident and has not produced any evidence of an increase in desensitivity to violence in adolescents or for that matter, players of any age. Regulations such as those imposed by the Eastern states on paintball interfere with the freedoms of citizens without any favourable outcomes evident. The AUPBA simply asks that this evidence be used in making the decision to remove the minimum age criteria from State Police Force criteria and not allow the unfounded and unsubstantiated opinions of policy makers many years ago, to continue to disadvantage Australian children when the rest of the world is clearly seeing the benefits. There is plenty of evidence out there to support this removal of the minimum age criteria. If people feel it is not appropriate for their particular child, then let them choose that and not take their children paintballing. It is simply an injustice to the sport and all future participants to maintain the blanket-ban on those under 16 playing paintball in Australia. Support the AUPBA in its fight to remove the unsubstantiated restrictions to Paintball participation and sign our petition now.